It can be your doctor. Your spouse. Your business partner. Your kid. Your dog. Your mom. Your grandma. Your boss. Your whomever. Blame it on them, get what you want, and maintain your good standing. This entry was posted in Life on March 31, 2016 by ljgale. For 12 months in a row, these things collect dust, junk, clutter, garbage, and things that, at this point, ought to be donated. Don’t deprive these things of their annual cleaning. This entry was posted in Decluttering, Life on March 30, 2016 by ljgale. You can read all the books. All the blogs. Listen to all the podcasts. But negotiating is so simple. Salary: I need this much. Contractor: I need these terms. Personal: I need this setup. They can say yes or no. Or maybe add some additional terms. But your needs are your needs. And you’ll be prepared either way to get them met. This entry was posted in Life on March 29, 2016 by ljgale. From the moment I started working as a consultant, I was studying on the side. I studied for, took, and passed the CPA. No regrets. I studied for, took, and did decently well on the LSAT. No regrets. I read a lot of non-fiction. No regrets. I wish I had not spent that time studying a computer program. Rather, I wish I spent the time learning how to build a computer program. HTML, CSS, maybe even Java. Learning how to build a website scratch. Can you get by without knowing how to code? Absolutely. I built the first iteration of Life is NOYOKE using an out of the box WordPress theme and zero computer programming skills. Today it looks like this (and is 30x faster) thanks to the help of some talented developers. But I wouldn’t be where I am today without a core understanding of accounting and finance, logic, and what makes successful people successful. Who knows where I’d be with a core understanding of computer programming. The ability to actually code. Five years ahead of where I am today? Much less reliant on expensive web developers? Do the three I did, if you can. CPA, LSAT, tons of non-fiction books. But then drop whatever other side studying you’re doing and learn how to code. For a step-by-step guide on how to teach yourself code, take the advice from a developer who sold his business for $20M. This: Sivers’ step-by-step post on the resources and method he recommends for teaching you how to code. You should read his life-changing book (that you can read in 30 minutes), too: Anything you want. This entry was posted in Life on March 28, 2016 by ljgale. Not 100% of it. Maybe like 90%. Give 100% effort, though, of course. Reversing it can be fatal. This entry was posted in Life on March 25, 2016 by ljgale. Seek perfect and you’ll be disappointed. Seek fun and you’ll be satisfied. This entry was posted in Life on March 24, 2016 by ljgale. I’m no artist. My handwriting, although better than some peers because I hand-write everything, is abysmal. I don’t paint and cannot draw. But I like to create stuff. And when I turn off my CPA brain, I can be satisfied with the things I create. Because those creations are never perfect. They can’t be. Perfect creations don’t exist. Step up to the plate and take a swing. This entry was posted in Creativity on March 23, 2016 by ljgale. It could be a comedian you saw. A writer you read. An actor you saw. A singer you heard. A teacher you learned from. If you see them, remember they’re people, too. They’d love to hear your genuine words of appreciation. This entry was posted in Life on March 22, 2016 by ljgale. You have a limited time to seek an unlimited amount money. This entry was posted in Life on March 21, 2016 by ljgale. 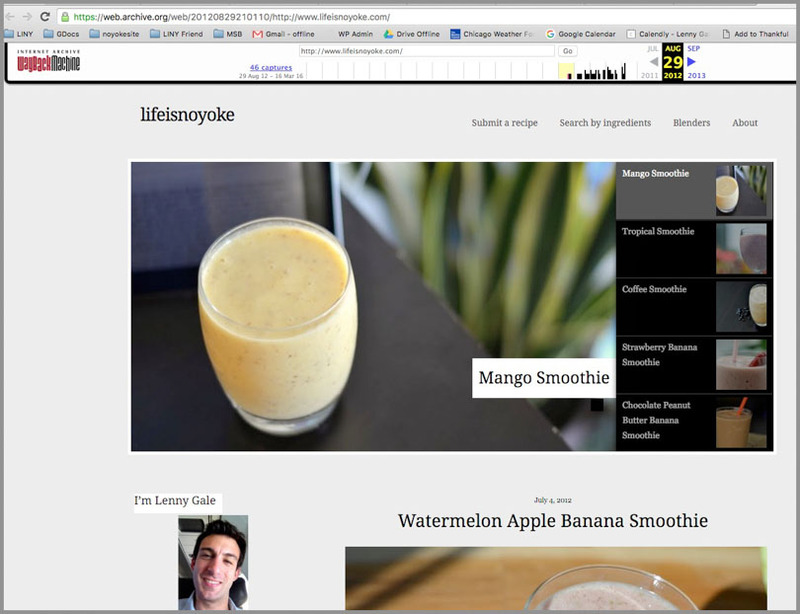 Over the last ten weeks, I’ve stuck to a consistent publishing schedule with Life is NOYOKE recipes and video demonstrations. I’m darn proud of this (despite other work-related missteps over this period of time). As such, I’m going to the beach for a few days to celebrate and recharge. Here are the 10 recipes (and vids!). Here is the latest LINY email. Here are the answers to any (hopefully!) 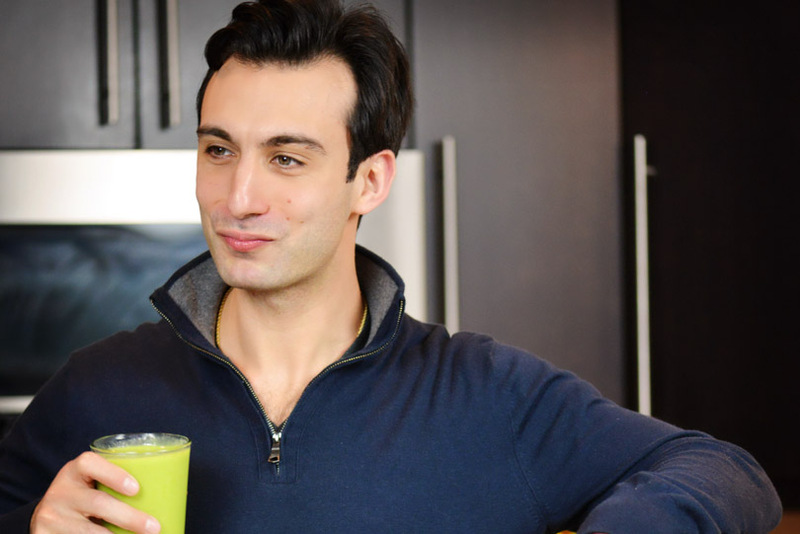 Vitamix-related questions you may have. *Unless, of course, I happen to read your email and can’t help myself but reply before then. This entry was posted in Life on March 14, 2016 by ljgale.